Purify Your Body Detox Foot Pads: Using Coconut Oil for Weight Loss? Does It Really Work? 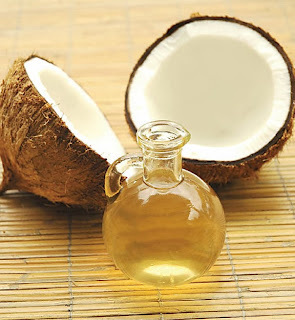 Using Coconut Oil for Weight Loss? Does It Really Work? I have thyroid and adrenal issues. As a result, I also a little more weight around my midsection than I would like. While I am not overweight, I do believe that my thyroid issues (which are getting better, thankfully!) have had something to do with this. Undetected for so many years, it was very frustrating when I was doing everything right and not losing a pound. And with my adrenal issues, they were shooting out excess cortisol -- AT NIGHT! -- so my body was constantly in "alert" mode instead of resting like it should be. (I took the 4x diurnal saliva cortisol test to get diagnosed). So, everyone talks about coconut oil being a miraculous weight aid. The medium chain fatty acids in the coconut oil boost your metabolism. The healthy saturated fat provides satiety so you feel full quicker and for longer. And you don't overeat. Well. It has been a little over a week now where I have eaten at least 2 Tablespoons of coconut oil in the morning. I want to report back to you after a month and see how things work out. I am hoping it will provide me some more energy, better sleep, and overall better health. Here in Panama where my kitchen rarely gets to below 85 degrees F, the coconut oil is a liquid oil. It is MUCH easier to take as a liquid than a solid, so I do have that going for me. I will report on how that works in about a month. I also will be starting a parasite cleanse that I will write about shortly. My detox foot pads unfortunately are not the best at taking out yeasts, fungi and parasites. They do pull out heavy metals, plastic by products, chemicals and toxins which are an overabundance in our bodies. And, they work amazing on children, too! For a free sample of my detox foot pads, go to: http://www.purifyyourbody.com and visit the Contact Us page -- and send me your mailing address. (For U.S. addresses only). Or visit me on Facebook at http://www.facebook.com/detoxfootpads and message me your mailing address. We have monthly giveaways of free detox foot pads, so be sure to like our page!